Every person would wish to have their important documents kept in a safe and orderly manner. Businesses and big organizations are expected to store their documents in an orderly manner. Storage cabinets enable the organizations to have a reliable mechanism to ensure that the sensitive documents are safe. The organization’s staffs can retrieve the documents for reference purposes quite quickly. There are various systems used to store documents. One of the reliable mechanisms is the use of drawing storage cabinets. The use of cabinet systems allows the user to label the chambers or the drawers for storage of related documents. The cabinet method is advantageous because there is no need to have box files. Some cabinets have chambers with storage boxes, racks, clamps or corrugated rolls upon which staffs can recognize valuable data. People store various documents in the cabinets. For instance, blueprints, maps, large rolled documents or other crucial organizations’ transactions prints form the principal kinds of documents stored in bulks. The documents need to have different labels when being filed. The filing of valuable information usually uses names, titles, types, sizes, dates of production or chronological order of production. 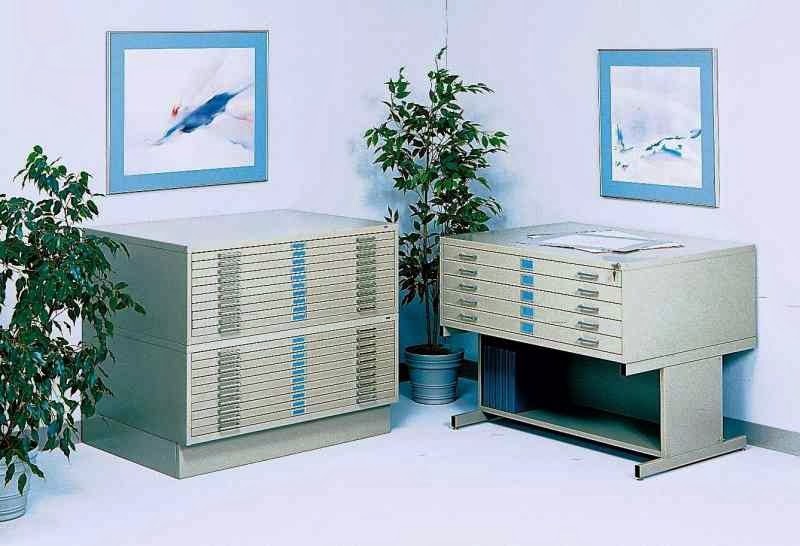 The dates of documents are significant determinants in devising the methods to use in drawing storage cabinets. The formatting style, the labeling of drawers or files can help to identify particular information quickly. Other cabinets have color codes as a means of enhancing labeling, and for easy identification of the contents of each drawer. The storage racks are either vertically or horizontally accessed. However, the choice of cabinets is dependent on the type of documents to be filed. The desired make and color of cabinets, whether wooden or made of steel, is an important aspect of storage. The most crucial consideration in a storage facility is its appropriateness in ensuring that an organization’s or personal filing needs are met. A well-developed cabinet storage mechanism offers practical and safe storage facility for many organizations.